Those are the worlds of Pekka Rantala, CMO of HMD Global – the Finnish startup behind the wave of new Nokia branded handsets including the remake of the classic 3310 that stole the show at MWC 2017 back in February. Instead, HMD wants to continue the Nokia brand where it left off, building on its 150 years of history without rewriting its values. “We definitely aren’t here to re-write the brand. We want to articulate the brand in a fresh, modern way” said Rantala, attempting to show that although HMD is focused heavily on making sure the world remembers what the Nokia phone brand used to be, it's doing more than just looking to make a quick buck off a classic product. There are three new Android handsets bearing the famous name, with the Nokia 6, Nokia 5 and Nokia 3 bringing a fresh sense of style and affordability mixed with just enough familiarity to excite loyal fans. The new 3310’s job was to get these smartphones, and the once iconic brand, back into the minds of consumers – and it appears to have worked. Rantala wouldn’t reveal the number of new 3310 phones the firm had sold, other than saying “lots”, but the success it’s witnessed with the nostalgic refresh has got HMD thinking. “We are very seriously looking into the results of this [new 3310] experience and we don’t exclude the possibility of continuing this kind of approach as part of the overall offering” Rantala explained. 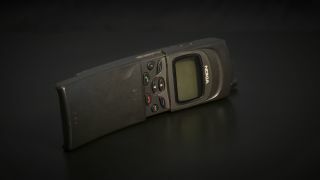 The only question left is, which classic Nokia phone should we hassle HMD to make? The gaming-centric N-Gage perhaps? Or how about the much-loved Nokia N95? And who can forget the tiny Nokia 8210? Let us know what you'd love to see on Twitter!